1) "Many of life's failures are people who did not realize how close they were to success when they gave up." 2) "Five percent of people think; ten percent of people think they think; and the other eighty-five percent would rather die than think." 3) "We often miss opportunities because it's dressed in overalls and looks like work." 4) "Genius is one percent inspiration, ninety-nine percent perspiration." 5) "The three great essentials to achieve anything worthwhile are, first, hard work; second, stick-to-itiveness; third, common sense." 6) "When you have exhausted all possibilities, remember this - you haven't." 7) "If we all did the things we were capable of doing, we would literally astound ourselves." 8) "There is no substitute for hard work." 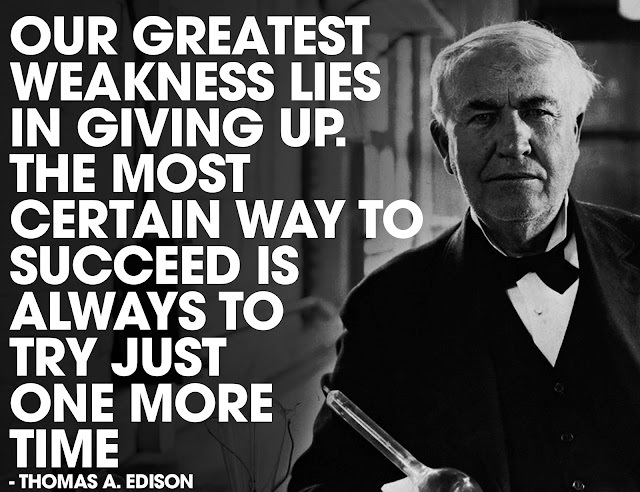 9) "Our greatest weakness lies in giving up. The most certain way to succeed is always to try just one more time. 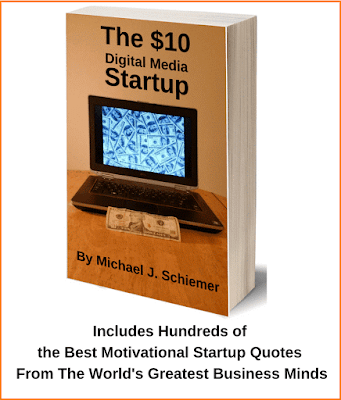 10) "I have not failed, I've just found 10,000 ways that don't work." 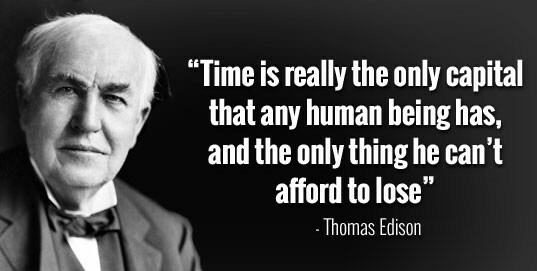 Thank you Thomas Edison for the valuable business quotes! 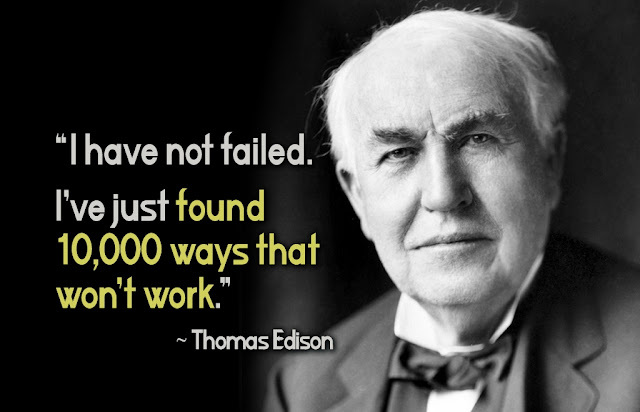 Want more great legendary entrepreneur quote inspiration?